If you're anything like me, you must carefully choose your fragrance as some can cause some major nausea or headaches. I love soft scents. 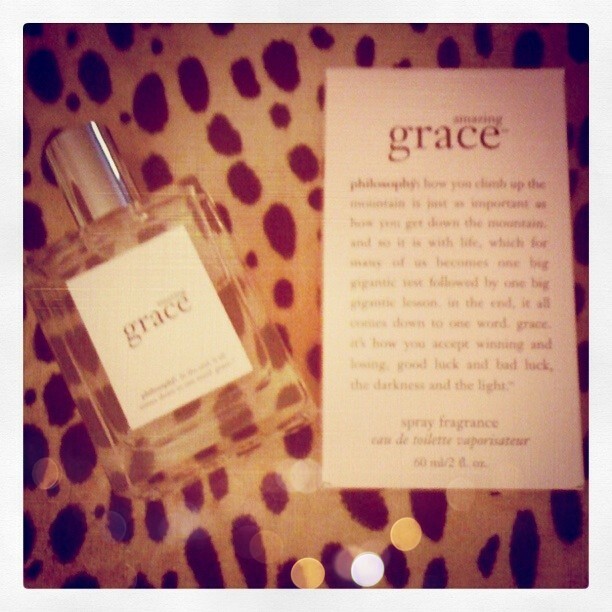 One of my all time favorites is Amazing Grace by Philosophy $42. In fact, i absolutely adore their products, from the Gingerbread Man body wash at holiday time to all their amazing skin care options like Hope in a Jar! As an added bonus, each product comes complete with some words of wisdom or philosophy behind the product. As i walked past the Philosophy isle at Sephora, i couldn't resist walking away without replenishing... so i picked up a bottle! Oh how sweet it is.... smells like you are fresh out of the shower. I typically alternate between Amazing Grace and Pure Grace which have a relatively similar smell yet are distinct in their own way. Next time you are at Sephora or Nordstrom, be sure to try it out! I promise you will love it! Oh, thank you for giving a fair comment on that amazing grace! I've stumbled upon that as well fromdiscount fragrances for women and I couldn't be happier to have it for my beautiful wife. Now I can show her this page as well to vindicate myself how good that label is. Cheers!